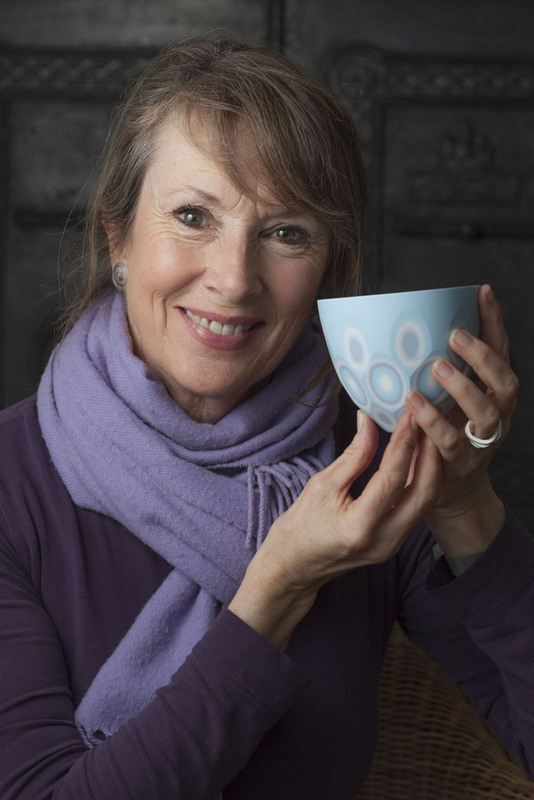 Sasha Wardell has been working in bone china since 1982. Her formal training in ceramics included both undergraduate and postgraduate degrees and industrial training secondments to L’Ecole Nationale des Arts Decoratifs, Limoges, France, and the Royal Doulton design studio, Stoke on Trent, UK. An industrial approach to the traditional bone china manufacturing process has strongly influenced the way in which Sasha presently works, reflecting her fascination for methods and materials which present a challenge. It is for this reason that bone china, with all its idiosyncracies, has remained her favourite material. By adding a carefully selected colour palette to the striking white bone china, coupled with unique decorating techniques evolved through painstaking trial and error, Wardell has developed ranges of distinctive signature work that is sought after by personal collectors, museums and galleries worldwide. Profile picture taken by Tim Gander.